Gregor Townsend named his Scotland team to take on Ireland in Round 4 of the NatWest 6 Nations at Aviva Stadium this Saturday. It includes one change to the starting team that famously beat England almost a fortnight ago, and two to the bench. Injured Glasgow winger Tommy Seymour is replaced by Edinburgh back Blair Kinghorn, who will be making his first start in the blue of Scotland having come on as a replacement against Eddie Jones’ men. The massive 6’5 Edinburgh native, whose usual position is fullback, will likely be lining up opposite fellow 21 year old Jacob Stockdale. 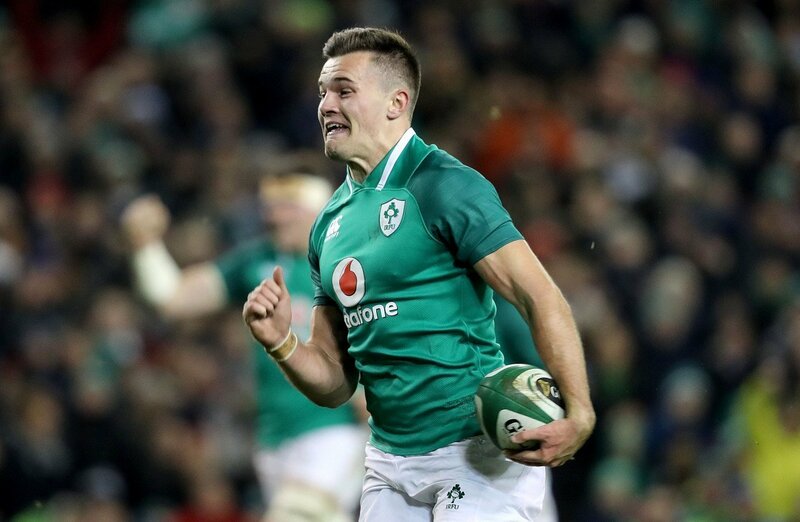 Kinghorn will certainly have his hands full because, what the Irishman gives up in height, he more than makes up for in scoring ability having crossed the whitewash 8 times in just 7 games for Ireland. The only other changes come on the bench with Warrior clubmates Lee Jones and Glasgow’s Fraser Brown recovering from head knocks. They replace Kinghorn and Scott Lawson respectively. It may come a surprise to many that some of the talismans returning from injury and suspension (Richie Gray, Alex Dunbar, Zander Fagerson and John Hardie) haven’t been included, but it seems that Townsend would rather reward the team that overturned the Champions than pick on reputation. That desire for consistency, something Scotland have had precious little of, has been reflected in the approach to the game. Scotland Head Coach Gregor Townsend said: “Our players had prepared very well for the challenge of taking on England and there has been a similar focus and commitment this week at training. And, whilst much has been made of Scotland’s away form, they should arrive with confidence and belief having overturned Joe Schmidt’s side in the corresponding fixtures last year. But, when you consider that Ireland have not been beaten at home in the 6 Nations since Joe Schmidt became their coach in 2013, it’s clear Scotland will have their work cut out to repeat that feat.